LEDGlow’s Blue Wireless SMD LED Underbody Lighting Kit universally fits 126 ultra-bright blue SMD LEDs housed in (2) 46” and (2) 36” underbody tubes to any car! 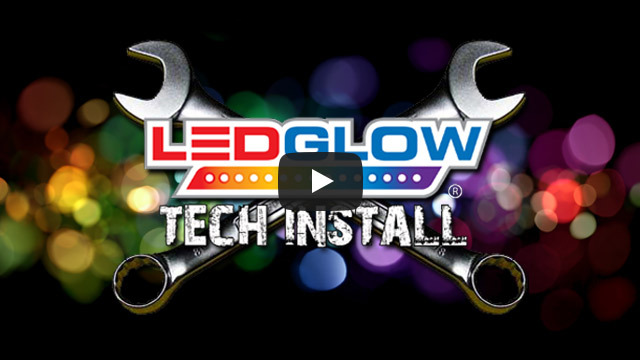 LEDGlow’s new and improved Blue Wireless SMD LED Underbody Lighting Kit universally fits 126 ultra-bright, wide angle SMD LEDs housed in (2) 46” and (2) 36” underbody tubes to any car. Featuring a flat mount tube design with clear, 15 degree angled mounting brackets that take up less space than the previous model, this revamped underbody lighting kit produces a much brighter and stronger color spill that surrounds the bottom of the vehicle for a custom, head turning look! They look great on my car, and installation was fairly straightforward. This is the best product ever looks perfect on my Honda and will recommend it to all my customers. Just installed these on my 70's custom van and they look super! I love the sound feature a lot. My engine is loud and has a large cam and with the sound feature, not only do you hear the engine lope, you can see it in the lights now! The glow is bright and show up nicely. I even ordered the grill light to go with them. Customer service was very good to me and took the time to discuss my order to make sure I had everything I needed since I ordered multiple Items from different product lines. No other company does that! I am very impressed and highly recommend their products.